Tekton will be your law firm’s partner to help streamline your documentation workflow. It could be something as simple as replacing old tape units with new digital recorders, or maybe you have needs to move your work around, whether it’s across the office or across the country. The products we offer solutions to improve the process. Today there are many pressures on law firms and legal departments to operate more efficiently, address clients quickly, and do more with less. In addition, the legal industry is extremely competitive. Therefore, it is vital to address client issues promptly if you desire to stay ahead of the competition. To do so, legal professionals simply must employ solutions that make them the best of the best. Technology can help. The speech productivity solutions we offer enable lawyers and other legal professionals to organize their time more efficiently and to work in more flexible and productive ways. This includes mobile, web-based and server-based digital dictation, speech recognition and legal documentation workflow management solutions that help lawyers produce documentation faster and more accurately, while protecting the security of sensitive client information. Click on a link below for more information. 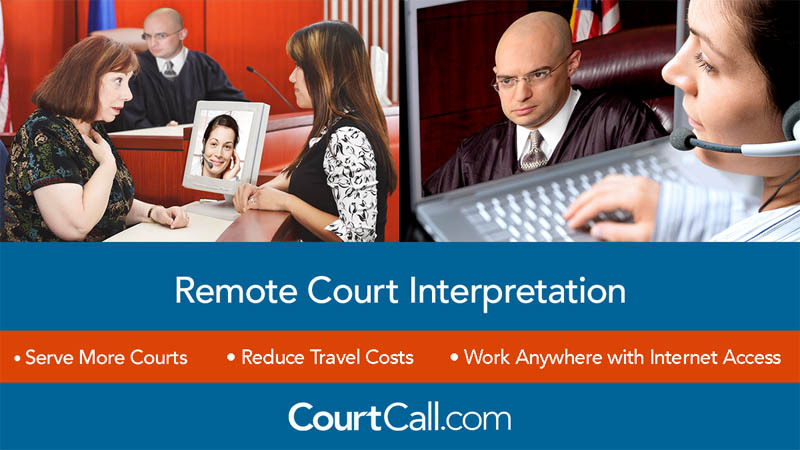 CourtCall® is the industry leader in making remote court appearances simple, accessible, and affordable. They have been helping thousands of court administrators, law enforcement, and attorneys in the United States, Canada, and worldwide work more efficiently since 1995. Tekton is the Mid-Atlantic region representative for CourtCall®, and we can answer any questions, provide the right equipment for your needs, and facilitate set-up, training, and ongoing support. There are essentially three distinct CourtCall solutions or products. All of them use off-the-shelf technology requiring minimal attention from IT staff, along with a flexible web-based interface. The Remote Appearance Platform enables attorneys to appear in court for routine matters involving civil, criminal, family, probate, and bankruptcy proceedings without leaving their offices. It also enables traffic citation defendants to appear before a judge without leaving home or office. Remote participants connect by phone or website, the judge is at the bench, and CourtCall participants are brought live into court when their cases are called. Remote Video Arraignments connects judges to the jail through a secure video link. This reduces the costs and risks involved with inmate transportation, and a typical 90-minute arraignment multiple session could be finished in as little as 20 minutes. Remote Interpretation enables language interpreters to appear in court to assist non-english speaking or hearing-impaired witnesses, defendants, and others with understanding other participants and testimony. This eliminates travel and scheduling problems, thereby increasing court efficiency. Confidential attorney/client conversations can be handled as well, without being heard in open court. Tekton will partner with your medical organization to help streamline your documentation workflow. Today, dictation and speech processing in the medical field is a tightly integrated Voice, Speech and Text system designed for the needs of the healthcare market. Increased regulations and administrative responsibilities have caused clinicians to focus less on the patient and more on paperwork. Medical documentation is crucial, but it doesn’t have to be a chore. The speech productivity and medical documentation solutions we offer enable physicians to use their voices to quickly and thoroughly document patient encounters and other reports. Our brands offer mobile, web-based and server-based digital dictation, speech recognition and medical documentation workflow management solutions that help clinicians produce documentation faster and more accurately, while protecting the security of sensitive patient information. Click on a link below for more information. Tekton partners with public safety organizations to help streamline documentation workflow. It could be something as simple as replacing old tape units with new digital recorders, or maybe you have needs to move your work around, whether it’s across the office or across the country. We offer a variety of dictation and speech processing solutions to improve the process. Today there are many pressures on the public sector to operate more efficiently, address needs quickly, and do more with less. Public safety professionals must employ technology solutions that can help. The speech productivity solutions we offer enable public safety professionals to organize their time more efficiently and to work in more flexible and productive ways. That includes mobile, web-based and server-based digital dictation, speech recognition and documentation workflow management solutions that help professionals produce documentation faster and more accurately, while protecting the security of sensitive information. CourtCall® has been helping thousands of court administrators, law enforcement officials, and attorneys work more efficiently since 1995. Tekton is the Mid-Atlantic region representative for CourtCall®, and we can answer any questions, provide the right equipment for your needs, and facilitate set-up, training, and ongoing support. All of the following CourtCall products use off-the-shelf technology and work on a flexible web-based interface. The Remote Appearance Platform enables attorneys to appear in court for routine matters involving civil, criminal, family, probate, and bankruptcy proceedings without leaving their offices. It also enables traffic citation defendants to appear before a judge without leaving home or office. Remote Video Arraignments connects judges to the jail through a secure video link. This reduces the costs and risks involved with inmate transportation. Remote Interpretation enables language interpreters to appear in court to assist non-english speaking or hearing-impaired witnesses, defendants, and others with understanding other participants and testimony. This eliminates travel and scheduling problems. Confidential attorney/client conversations can be handled as well, without being heard in open court. Call Tekton today at 800-888-1778 for more information. Tekton offers the latest portable and integrated dictation solutions utilizing the latest technologies to provide you with Internet capable dictation as well as advanced speech recognition and speech processing capabilities. Using products from Winscribe, Philips, Dragon, and Olympus, we are able to integrate speech recognition with our dictation solutions and provide end to end solutions for all your needs, from front end speech recognition to back end client side dictation. These improvements allow you to decrease turn around times and increase productivity of your whole organization. Tekton serves the Mid-Atlantic and Southeast regions of the U.S. with offices in Chapel Hill NC, Pittsburgh PA, Richmond VA, and Columbia SC. Also serving Raleigh, Durham, Greensboro, Charlotte, Washington DC, Baltimore, Philadelphia, and including the states of Delaware, District of Columbia (DC), Maryland, New Jersey, North Carolina, Ohio, South Carolina, Virginia, West Virginia, and beyond.